We’ve all read a little cross-genre fiction, whether we called it that or not. Cross-genre fiction, if you haven’t heard that term before, is fiction that mixes two different genres, or types, of writing, such as historical fiction and fantasy, or romance and supernatural fiction, or aliens and cowboys — well, you get the idea. 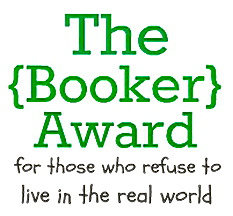 Lots of cross-genre fiction is pretty horrifically bad (if you’ve ever read online fanfiction or perhaps visited webook.com or Authonomy, you’ve certainly come across some of this; if not, count yourself lucky). It’s also a lot harder to market, so it can be much harder to publish. Consequently, less of it gets published by the big publishers, and less of it enters the public imagination than other genres. We care about the characters. The story is tightly plotted. Although these two things are important in all types of fiction, they are ever so much more important in cross-genre fiction because readers judge it much more closely than plain old contemporary fiction. 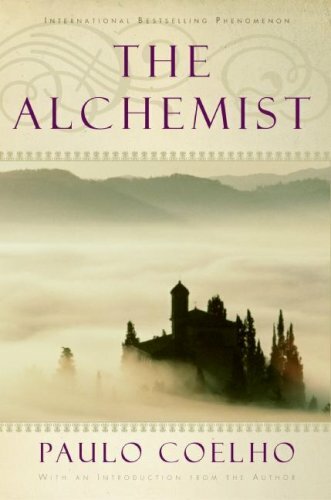 A beautiful example of cross-genre fiction is Paulo Coelho’s allegorical The Alchemist (<– affiliate link that helps keep this blog awesome). Whether you like his writing or not, you have to admit that Coelho writes in a way that is gorgeous and simple at the same time — not an easy task. 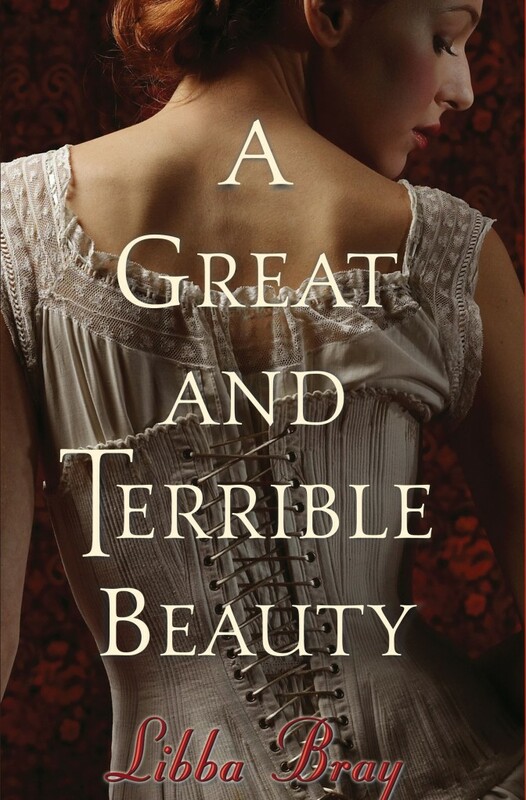 This book reads like historical fiction with brief supernatural elements, and it manages to still be clean and smooth. Not only do we as readers care about what happens to main character Santiago, every moment in this book has a purpose. Coelho either did an amazing job editing this book many times over, or he had outlined everything scene-by-scene before putting pen to paper. What cross-genre books do you love? What do you think makes them succeed? Posted in Craft and tagged books, character, cross-genre, Paulo Coelho, plot, The Alchemist, writing, writing rules. Bookmark the permalink. Have you heard about the ridiculously awesome Book Forest book swap in Berlin? The Book Forest combines two of my favorite things — books and nature! 🙂 It’s a book swap set up by BauFachFrau Berlin that is arranged to look like actual trees clustered together. Each tree has a few cut-outs that function as shelves. Apparently, it was originally supposed to be a temporary installation, but the community loved it so much that they couldn’t part with it. 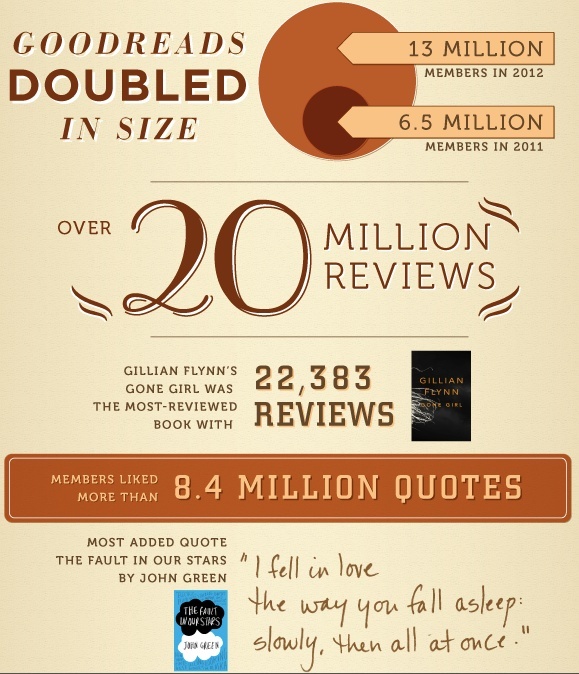 Goodreads is up to 20 million reviews. The community of voracious readers is expanding rapidly! Check out the original post on the Goodreads blog here. Posted in Culture and tagged Berlin, Book Forest, books, Goodreads, infographics. Bookmark the permalink.